And although I’m finally at the point where I’ve built up enough confidence to write it, I’m still terrified to push publish. If you’ve been following my blog for a while, this isn’t going to be like one of my typical blog posts. Usually, I share helpful tips. And have extremely structured content. But this is just something that I want to get off my chest. And something that I think you need to hear from me. So I’m ready to let it out. Tell you what’s been going on. And talk about the thing that we dread talking about the most… money. It often feels wrong to talk about money. Like it’s something inappropriate and shameful. We created money years ago. Determined it’s worth. Gave it energy and power over our lives. And yet… it’s a simple piece of paper. But we’re so afraid to talk about how much we make. How much we spend. And don’t ever say that you need money to be happy! Because happiness doesn’t come from money. Personally, I think you need money to be happy. Because money can buy you things and experiences that enhance your life and make you happier. Now what I’m not saying is that rich people are happier. But in my opinion, you have a right to your own, but from my point of view, I think we need money to be happy. At least I need money to be happy. But from an early age, I was taught to believe certain things about money. I remember hearing people tell me that money doesn’t grow on trees. And after watching my mother work 3 jobs just to keep us afloat, I believed that money was hard to come by. That it was something that you had to work really hard for. I’m not going to go into my family’s story. It’s very messy and I don’t think this is the place to air dirty laundry. I was raised with my 2 other siblings. And my parents slip when I was in 3rd/4th grade. My mother, gosh, she’s a freakin warrior. I don’t think she understands how amazing she is. And how what she did for us made our childhood and upbringing amazing. But I knew that we struggled with money. I would sit with my mom and help her pay the bills. And although I didn’t have much of a concept about money when I was in middle school, I still knew that the funds were low. So I didn’t ask for much. And it was this environment that taught me some great things about money management. Like how to save money. And that you don’t have to spend everything you have. But it also gave me some limiting beliefs that I’ve carried with me up until this point. When I first started my business, it was a passion project. I honestly just loved it so much that I didn’t care if it made money or not. Sure, I wanted it to become profitable. My goal was to use it to leave my full-time job. But I knew that would take time. So I didn’t put too much stress on myself for not making any money. Now I know, that this was just one of my first limiting beliefs coming into play. Like I said, my mother worked 3 jobs at one point. She would do anything possible to make sure that my siblings and I had the best life possible. And again, she’s a freakin warrior for doing what she did. But because I watched her work jobs she didn’t truly love. Jobs that she wasn’t passionate about. I thought that money came from working jobs. Not from doing what you love. So when I was just getting started, of course, I didn’t worry too much about monetizing my passion. Because in the back of my head I told myself that it wasn’t possible. Little did I know that this was just the start of my limiting beliefs around money. The more I uncover, it’s unreal how I’ve even been able to make money at this point. Here are a few others that I honestly believed. … money can’t be trusted and shouldn’t be wanted. … money is hard to come by. … you have to work really had for money. … having a lot of money doesn’t mean anything. … being successful and rich is unattractive. … money can’t buy happiness. … you need a real job to make money. … asking for money is never appropriate, even if you think you’re just charging for what you’re worth. I made money out to be the dirtiest of all words. I did that. No one else. Sure these things were instilled in me from when I was a child. But no one forced them in my brain and made my belief them. And as you could imagine, this made making money from my business nearly impossible. From the very beginning, and even up until this point, I have been worried that someone is going to call me out as a fraud. Someone is going to unravel the truth that I’m just an average girl with an average life. Why do I think that I have the right to charge $249 for a product that I created?! Where do I get off thinking that $120 is an acceptable rate for a 1-hour consultation? These are the thoughts that run through my head on almost a daily basis. And I continue to question why someone would pay for the products I’ve created or my services. But time and time again, people do. And I’m forced to remind myself that I’m worth it. That I’m worth the money. And that the content and resources that I create are worth the money. But it’s because of those limiting beliefs that I just mentioned and those questions that continue to pop into my head that I’ve struggled soooo badly with making money blogging. 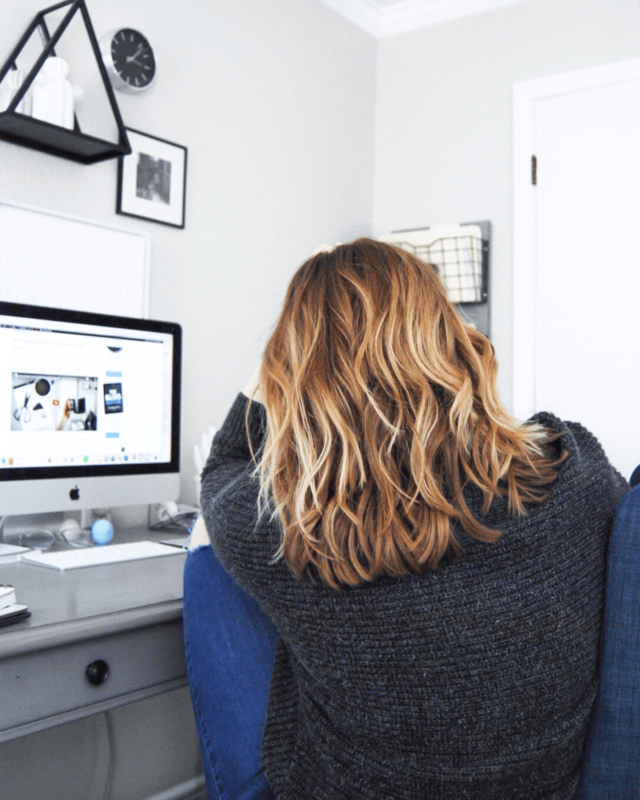 It’s nothing new that blogger’s share their income reports month after month. And when I was first getting started, I loved to read these reports. Okay. I still love to read them! 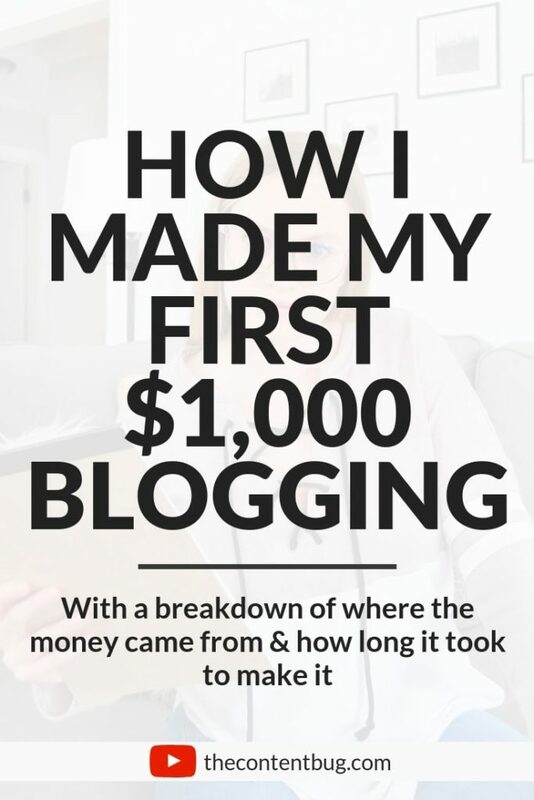 I think it’s fascinating to learn how other people are making money with their blog. 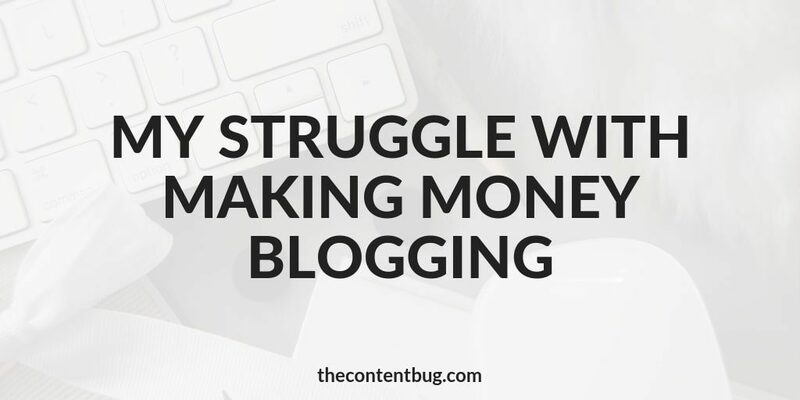 I would see bloggers who had been blogging for less time than me that were making more money. And I started to question why I wasn’t making money. How come they were and I wasn’t?! It was this comparison trap that kept me stuck for even longer. So yes. The limiting beliefs were bad. But the comparison trap was just as bad. I would tell myself then that I didn’t need to make money. That my blog was on a different path and that it would make money when I deserved it. This is something that I would tell myself time and time again. That my blog isn’t at the point of deserving the money that I think it’s worth. So I kept myself stuck. I worked harder. Tried to create more income streams. Spent time creating more free content. And pushed the money off until another day. It will come. It will come. It will come. I just shared an Instagram post talking about the one piece of advice that I wish I could go back in time and give myself. And it’s to not jump into working full-time by myself until I was truly ready. It’s crazy how things happen. And I honestly, believe that everything happens for a reason. So I don’t regret anything. But I left my full-time position only 1 year after starting my blog. 1 year after purchasing my domain I was working full-time by myself. And boy… that was tough. I thought that I was ready for the change. I had more than enough work to make it a full-time job. But the problem was that the work I was doing wasn’t making me any money. And I knew that it would make me money in the future. But that didn’t help my situation! I needed money now. And the work I was doing wasn’t making me that money. 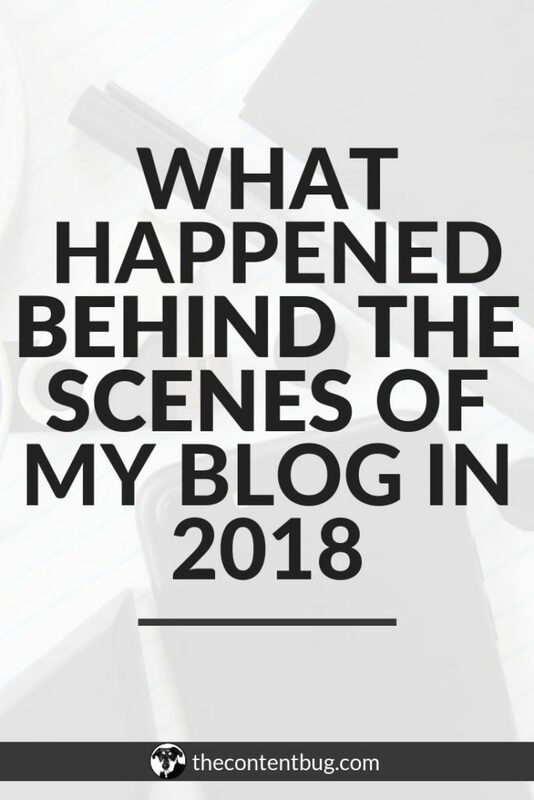 So yeah… although it was amazing that I was able to leave my full-time job only a year after starting my blog, I wouldn’t recommend it to anyone else. Usually, I’m the type of person to tell people to run toward fear. Stop holding themselves back and just go for it. But there are points in your life where making the jump isn’t the most sound decision. The first month of working by myself went great! I was making about the same amount of money that I was making with my full-time job. And I only had 1 client that required 20 hours a week. So I had a lot of extra time to work on my blog. But shortly thereafter, that client had to let me go. And I had to find a new way to make money. So I worked some content writing jobs for some clients that didn’t really appreciate me. And after 2 months of feeling like crap for the work I was being paid to complete, I decided to stop. At the point, my blog was making about $50 a month. And I was working full-time for myself. What a joke, right? But the whole reason I started my blog was to take control of my life and make myself happy. So I decided to throw all of my energy into creating paid products that would provide more of an income for my business. Thankfully, at the time I still had a little money saved up so I could still survive. But it was running low. And then the credit card debt began. For months, I was making only a couple of hundred dollars. And everything I was making had to go to Alex’s and my joint funds to make sure that we paid the mortgage, electricity, gas, etc. For months I couldn’t contribute my part. So I let my own finances go to crap. I built up credit card debt. And at the beginning, it was only $2,000. And I knew that I could pay that off once I started to make money. But then it got to the point where my credit card was almost maxed out, I had quarterly taxes to pay, and I didn’t have enough money in my bank account to cover it. So… I did what I had to do. And I put it on a different credit card. One that I hadn’t allowed myself to use up until that point because I didn’t want to build up 2 credit cards with debt. It was much easier to handle one. But I didn’t think that I had a choice. So I paid for my state taxes on my credit card. And this started a downward spiral. The worst I let my debt build up to was $8,000 with only $40 in my own bank account. As you can imagine, I felt even more like a fraud. I already had these limiting beliefs that were telling me that making money from my business was just fooling people. But then when I was trying to help you guys make more money with affiliate income or grow your blog, I felt like it was all a lie. 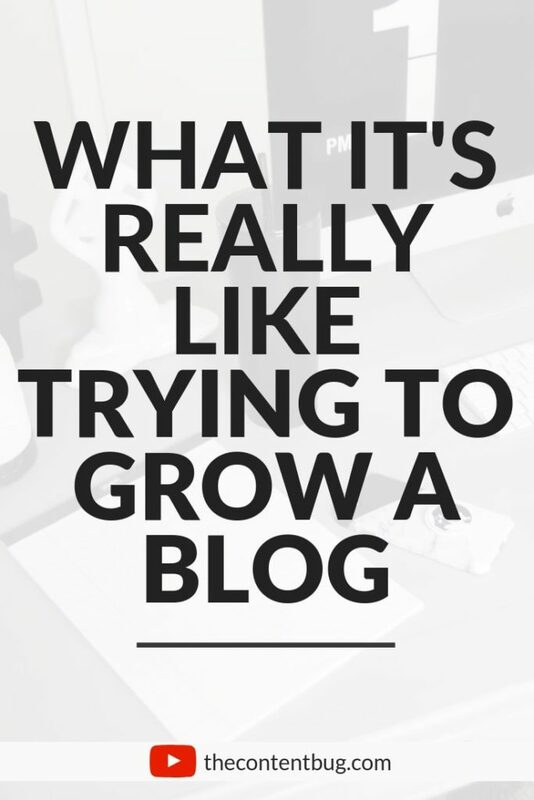 Like how can I tell you guys how to transform your blog into a business when my business was so clearly failing! I was so afraid to let you guys in. To tell you that I was struggling to make money. That I shouldn’t really be working full-time for myself. Inside my head, I was screaming to myself: DON’T LISTEN TO ME! I KNOW NOTHING. I’ve built my affiliate income enough where I’ve made $87 from just one sale. And I made over $200 just last month from 1 company. I know what I’m talking about. I do. But the money wasn’t there to prove it. So I felt like none of that mattered. 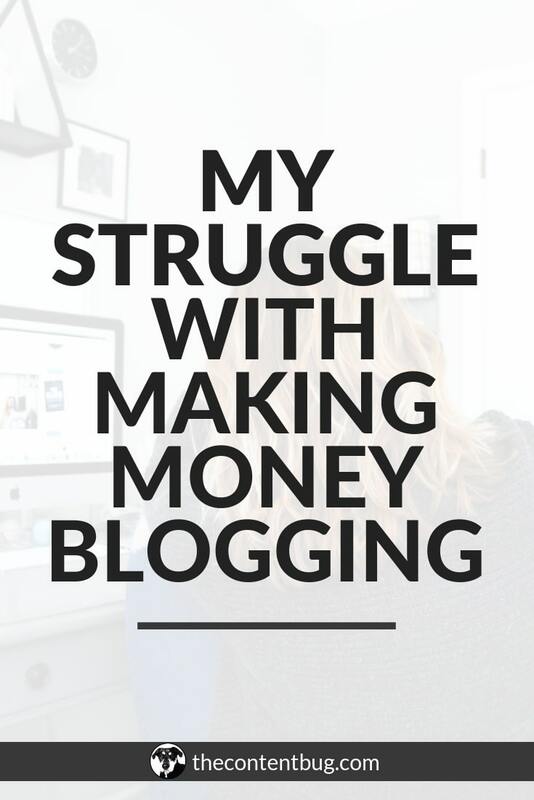 Because honestly… most of you want to know how to make money. And I didn’t have that much advice to give on that one topic. Clearly, I didn’t know too much about money if I had let myself get into that debt. There were a few pivotal points in my money making journey. The first was April 2018 when I had to pay over $700 in quarterly taxes and I had less than $300 in my bank account. The next was when I had to pay my quarterly taxes in June and I had to cash out my credit card points on both of my credit cards so I had enough money to cover just the IRS taxes. And then I had to put the state taxes on my second credit card because my first one was too full. And the last was in August of 2018. Something happened. I’m not going to go into it. But if you follow me on Instagram, then you might remember me sharing an emotional Instagram story sharing that I was going dark for a few days. And then I never talked about it again. Yeah. Well, something happened. And it hit me that without Alex, I wouldn’t be able to survive. I couldn’t afford to pay for a place on my own. I wouldn’t be able to buy food. And I would probably have to move in with someone and just expect them to put me up. OR… I had to get a job. This was a major wake-up call for me. Gosh, it was a wake-up call for my soul. So I FINALLY decided to make some changes to put myself on a better money making path. I just shared the other day that I’ve made almost the same amount of money in the first 3 months of 2019 as I did in all of 2018. And as embarrassing as that was to admit, you guys seemed to have a thousand questions. What did I do to start making more money? Was there anything that changed? And where was the money coming from? There is so much that I was to tell you. But this blog post is already 2,546 words long. And I’m not sure how much longer I was to keep this going. So what I’ll promise you is a blog post real soon talking about the things that I did to start making more money in my business. But one thing that I honestly think made the biggest difference was my attitude toward money. For a while, I was too afraid to look at my bank account and my credit card statements. I didn’t want to face the facts. And I was in denial that this was my current money situation. So I just stopped paying attention to money. But one thing I learned was that I had to pay attention to money and appreciate money to start receiving more of it. Whether you believe in this or not. This worked for me. And I want to share! So what I started to do was look at my bank account and credit cards every single morning when I sat down at my desk. I would look at what money was flowing to me. And what money was flowing away. Then, whenever I made money, I would do a victory lap around the house to show my gratitude. I’m telling you. Every single affiliate sale, every penny made with ads, and every course or ebook sale, I would run around the house with my hands in the air thanking the Universe for sending that money my way. And the more I started to appreciate money and show it some attention, the more it started to flow to me. Believe me or not… but this worked! And it’s something that I still do to this day. I’ll be back here real soon with more information about how I opened myself up to more money in my business. So make sure that you follow me on Instagram. That’s where I share when a new blog post is live. And subscribe to my YouTube channel because I’m planning on talking more and more about money in the future. If you’ve made it this far, thank you so much for reading. This is something that’s been heavy on my heart for the longest time. If you’re struggling to make money, it’s nothing to be ashamed of. 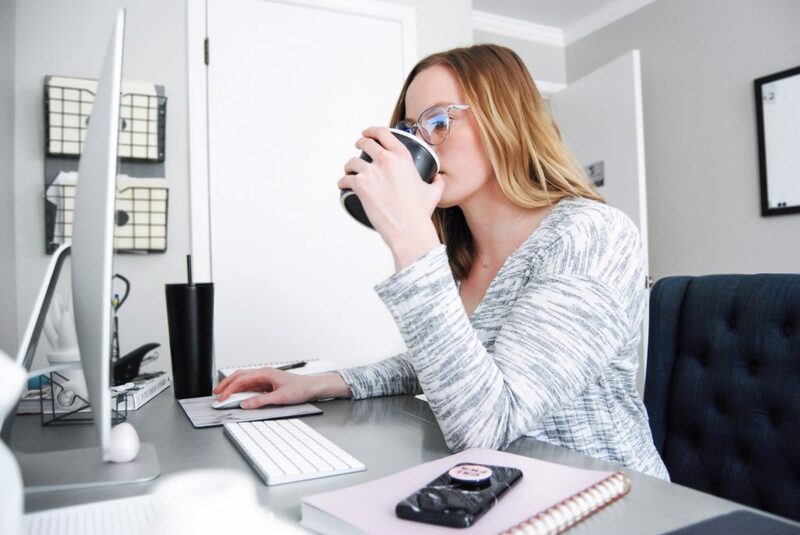 Almost every single business owner goes through a phase where they have less than $100 in their bank account and are just trying their best to make it work. But don’t accept yourself as broke and give up. There is always a way. You just haven’t found it yet.